« I’m fed up with James Patterson. 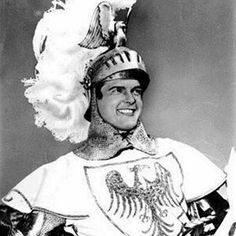 I can pinpoint the moment I fell head over heels in love with history to the day, as a child I watched Roger Moore as Ivanhoe gallop across our black and white TV screen on a white horse. My infatuation grew throughout my childhood fed on TV series like the Buccaneers, Robin Hood, The Forsyth Saga including a brief flirtation with the Wild West with Bonanza. Dr Who, too, in its earlier days went back in time, who could forget one of his early companions Jamie McCrimmon? I later moved on to the Onedin Line and of course, along with the rest of the female population in 1975 fell in love with Robin Ellis as he strode across the screen as the original Ross Poldark. I just love the thought, feel and possibilities of the past. All my life I’ve fanaticised about broad-shouldered, chiselled featured men with piercing eyes dressed in doublets, kilts, starched collars and cravats and redcoats, what woman hasn’t? Of course I didn’t just watch historical fiction but I read it almost exclusively in books by Anya Seton, Mary Stewart, Nigel Tranter, George Shipway, Dorothy Dunnett and Sharon Penman to name but a very few. The joy of writing historical fiction is also that the past isn’t just one point in time. It can be Nero’s Rome, Robert the Bruce’s Scotland, Revolutionary Boston or Lautrec’s Paris or for me, post-war East London. It can also focus of major historical character such as, the Empress Matilda, Cecily Neville, Joan of Arc, or Marie Antoinette but it can also have more lowly protagonists such as Frances Nelson Lord Nelson’s long suffering wife or Elizabeth Fry, with her eleven children and bankrupt husband. Of course, you can have fictionally characters, who inhabit a real time and place and who fall in and out of love but who aren’t constrained by actual events. Wedding Bells for Nurse Connie. It’s 1948 and the nurses of the East End of London are making the most of life post-war. For Connie in particular, things are looking rosy as she looks forward to planning a future with her sweetheart, Malcolm. But, as many a young bride-to-be has proved, the course of true love never did run smooth and Connie finds herself having to grapple with interfering mothers and Malcolm’s reluctance to set the date. But while there are many obstacles to overcome before walking down the aisle, at least Connie can relax in the knowledge that she’ll soon be married to the man of her dreams, can’t she? Life at work isn’t all smooth sailing either. The newly-formed NHS is keeping the nurses of Fry House extremely busy and as ever in the life of a nurse heartbreak lurks at every turn. But there are some new faces to keep things interesting. And one in particular might be the answer to all of Connie’s problems.